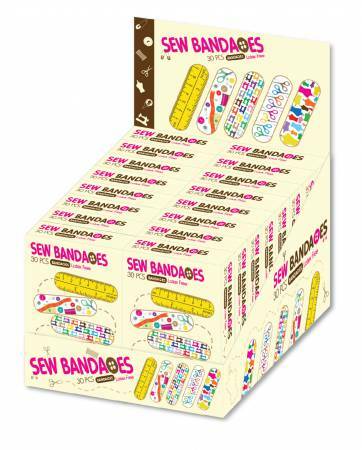 Cover that boo boo in style with these sewing themed bandages. Latex free. Each box contains 30 bandages. 5 different designs in each box. FDA certified.